Some of our favorite 1960s hairstyles that you can easily create. Sometimes all we need is a change of perspective when it comes to our hair. If you’re not ready for a drastic haircut or to try out the latest color trend, you may want to consider a subtle nod to another era by trying out a vintage 60s hairstyles. The ’60s were all about adding softness and volume to hairstyles and accessorizing too. This quick hack will help you turn regular curls into a classic vintage style. 60s hairstyles for short hair is all about bouncy and defined curls. To achieve this look, wrap one-inch sections around your curling iron in the direction of your face, and hold each one coiled in your hand for thirty seconds as it cools. Volume is the name of the game with this style. Roll your locks into a fanned-out updo at the top of your head and create a matching swoop with your bangs. The secret to a ’60s-inspired, gravity-defying updo like this is immediately finishing off the style with the right hairspray. Try Dove Style+Care Extra Hold Hairspray for long-lasting hold. Pair minimal volume with major shine. Looking for a 60s hairstyles for long hair? Check out this fun style that’s all about sleek, pulled back hair thanks to hair gel. To achieve this look, apply a dime-sized amount of TRESemmé Flawless Curls Defining Gel throughout your hair before sweeping it up into a high updo. This formula will work to make your hair shiny and help you nail this sleek look. Next up is the 60s half-updo, a glamorous, all-season look that’s as straightforward as it is retro-fabulous. We also think that there’s no time like the present to experiment with this particular hairstyle, as top knots and high ponies seem to be having a moment in the spotlight these days. We like this style paired with a soft bend at the ends courtesy of a curling iron, or even from just a few slick flicks of the wrist while drying with a round brush. Also, it’s best to note that this look is easiest worn on straight to wavy hair, just ’cause the beehive effect is more pronounced on these hair types. You can also personalize this 60s half updo with a side-swept bang or curtained fringe—a totally charming addition, dare we say—to drive that vintage sexpot point home. (Monochrome peach makeup and some embellished sleeves provide the perfect—and wildly trending—foil for this hairstyle too.) So excited for your guys to read our step-by-step tutorial and try this look out yourself! 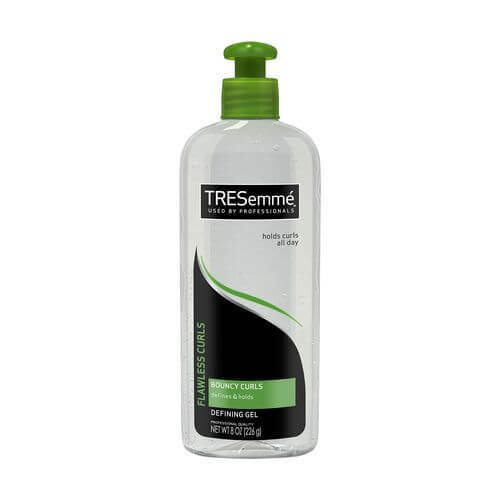 Washing hair with a shine-enhancing, moisturizing shampoo helps contribute to your locks’ sheen. We love the nourishment we get from Suave Professionals Avocado + Olive Oil Smoothing Shampoo and Conditioner. Rinse well and gently towel-dry. Hair hack: You can also try blotting hair with a paper towel for a quick and gentle drying experience. Power-dry your hair with a blowdryer till at least 90% dry. 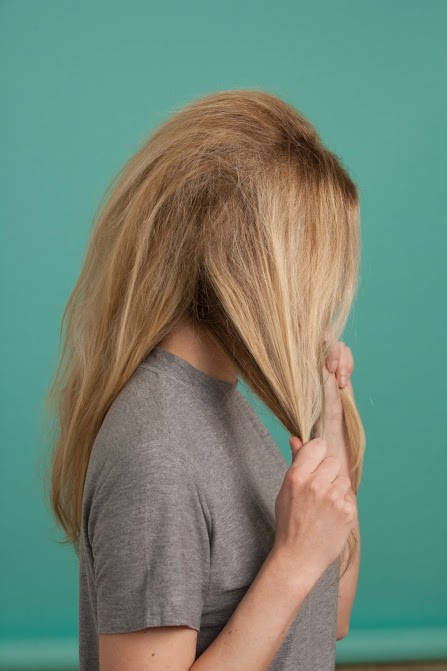 To do so, first, wiggle the nozzle all around your hair, then when hair is just barely damp, start sectioning it off. 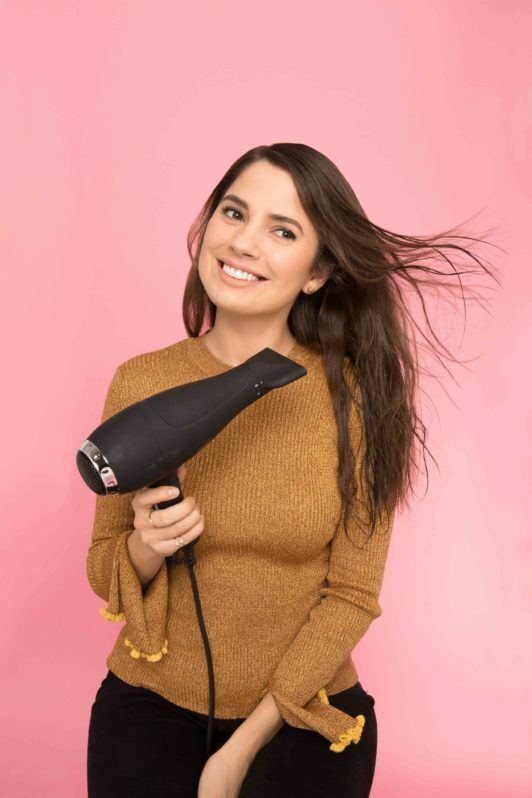 Finish the blowdrying process by taking hair around a round brush and tugging it outward and downward in a non-continuous motion, focusing the airflow downwards as well. 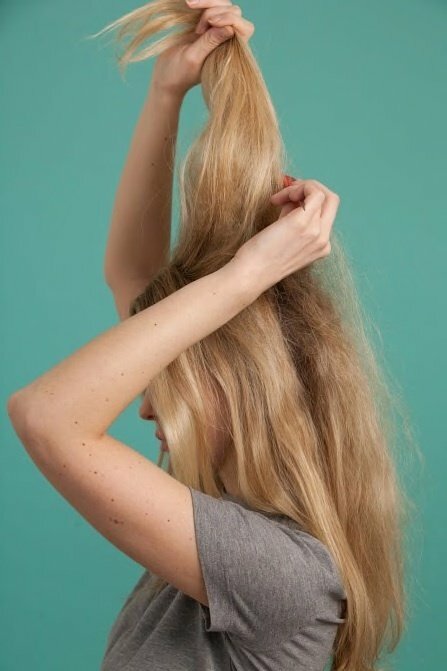 Brush hair to detangle any knots and to soften up any curls that are too “done.” Using the end of a rat-tail comb, section off the hair on the very crown of your head and gather it into a ponytail. Secure with a neutral-colored hair tie. Ed’s tip: Loop a sliver of hair around your hair tie for a more sophisticated, runway-inspired look, and tuck it into the seams with a bobby pin. 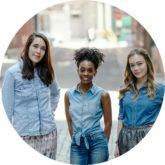 If your hands have any leftover product, lightly run your fingers through your curls to further soften and separate them. Otherwise, simply finger-comb hair to impart some last-minute definition. You’re all set! Accessorize this super-charming hairstyle with some on-trend bell-sleeves and a metallic gold hair barrette. And for a classic take on 1960 hairstyles, check out this updo featuring a retro-chic headband and a classic technique: teasing! Whether you’re looking for a new hair idea or inspired by retro hairstyles, this look is definitely one to try. Read on to discover how to enhance your hair with one of our favorite 60s hairstyles. Start clean and tease your hair. Before you start your style, make sure that you wash and condition your hair. Try Nexxus Therappe Rebalancing Shampoo and Nexxus Humectress Rebalancing Conditioner. Containing Elastin protein and a Caviar Complex, these formulas work to nourish and replenish your hair. After your hair is air-dried or blow-dried, brush your hair and then separate into three sections. Grab the middle section and comb upward with the teasing method. Grab the other two sections of your hair, leaving the middle section free. Leave two strands out in the front of your face as you grab your hair to create a low ponytail. 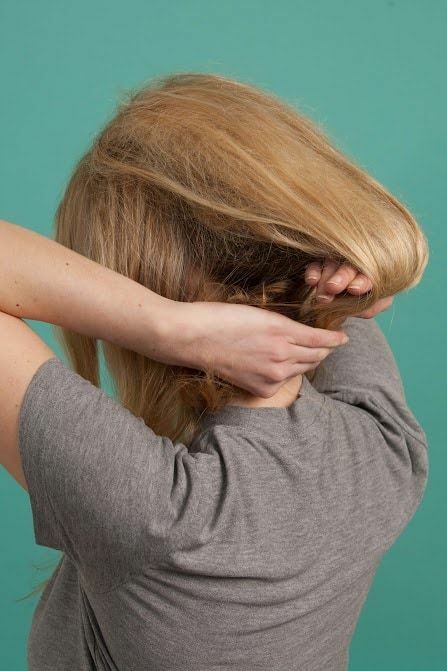 Grab a section of your hair from the pony and swoop it underneath your hair. Pin your hair in place. Use a small clip or a bobby pin to hold your hair together as you pin your hair underneath. 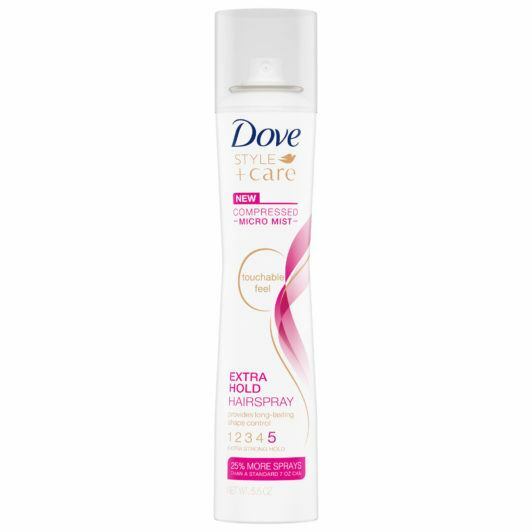 Use some hairspray like the Dove Style+Care Strength & Shine Flexible Hold Hairspray. Have fun with your look as you let front tendrils of your face hang loose. 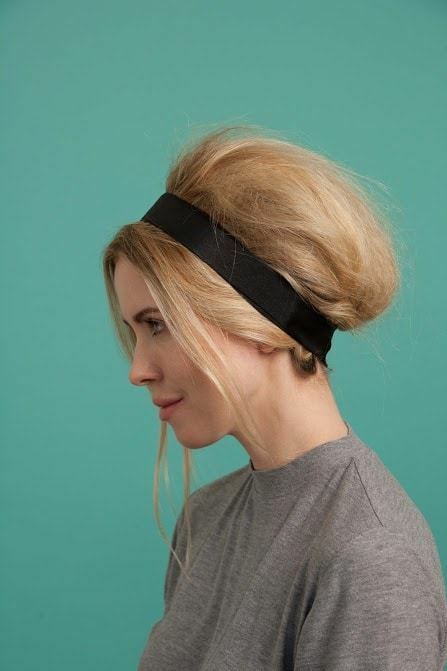 You can also enhance this look by adding a headband for a chic and modern update. check out more easy vintage hairstyles!